JOHANNESBURG, South Africa, December 6, 2013 (ENS) – Nelson Rolihlahla Mandela, one of the world’s most honored statesmen and conservationists, died at his home near Johannesburg on December 5 at the age of 95. Born in Transkei, South Africa on July 18, 1918, Mandela became an attorney and led the struggle to replace South Africa’s apartheid regime of racial segregation with a multi-racial democracy. Imprisoned for 27 years, Mandela emerged on on February 11, 1990. 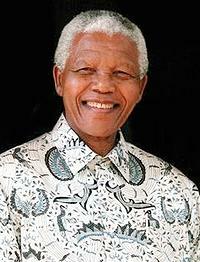 Mandela became South Africa’s first black president, serving from 1994 to 1999. He is mourned across the world, in part for his conservation legacy. In Washington, DC, Patrick Bergin, PhD, CEO of the African Wildlife Foundation says that few people know that Mandela’s vision for South Africa included many programs that helped conserve the nation’s land and wildlife. “Though we are deeply saddened by Nelson Mandela’s passing, he leaves behind an iconic legacy – one that is an inspiration to conservationists everywhere,” said Bergin. In 1995, Mandela supported the establishment of Open Africa, a pan-African project that works to create travel routes to promote responsible tourism and contribute to rural economies. In 1997, Mandela co-founded Peace Parks Foundation, an organization that works to establish protected areas that preserve animal migration patterns and share wildlife resources. Co-founders were the late Prince Bernhard of the Netherlands and the late Dr. Anton Rupert. Peace Parks Foundation successfully implemented the Futi Corridor, which allows elephants in Mozambique to roam freely along the Futi River, from Maputo Special Reserve to the South African border. Mandela actively supported the foundation’s work. 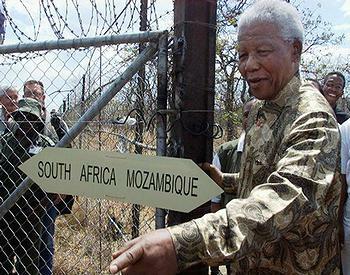 On October 4, 2001 he opened the gate between Mozambique and South Africa to allow the truck transporting the first elephants translocated from South Africa’s Kruger National Park to Mozambique’s Limpopo National Park to cross the border into the Great Limpopo Transfrontier Park. Former President Mandela is survived by his wife Graça, three daughters and 18 grandchildren. Calling Mandela an, “outstanding son of our country and the father of our young nation,” South African President Jacob Zuma announced that the former president will be accorded a state funeral. He will be laid to rest on December 15, in Qunu in the Eastern Cape province. The official memorial service will be held on December 10 at FNB Stadium in Johannesburg. “From the 11th to the 13th of December, the remains of our beloved Madiba will lie in state at the seat of government, the Union Buildings in Pretoria, where he served as the first President of this young democracy,” said Zuma. During these days, official memorial services will be held in all provinces and regions.